Hi again readers, today I want to talk to you about my Compounding Money Strategy. A lot of people are completely satisfied with living a life with a simple earned income strategy. We all know someone who lives like this. These types of people simply work for a paycheck and then hopefully don’t spend all of their money before their next paycheck. My strategy is a bit different because I want to maximize the effectiveness of my capital, I have slowly been evolving my own strategy for compounding money. There are currently several different layers to my Compounding Money Strategy. Some of these layers may seem risky to some people but so far it has been working well for me. Like most people, I currently have a 9 to 5 job that I go to every day. I wish that I could lie to you and say that it was only a 9 to 5 but I can’t. Most weeks I choose to work anywhere between 50-80 hours. I do this because I know the more money that I have to compound, the quicker I can escape the rat race. I work for a pretty good company that offers some good benefits. So I incorporate them into my Compounding Money Strategy as much as possible. To start with I participate in the company 401k plan and I do this for several reasons. To start with my company completely matches up to 5% of my AGI (Adjusted Gross Income). So I am able to essentially double 5% of my income for the year. Another cool thing about my company 401k is the fact that at the beginning of each year they deposit an additional 2.5% of my AGI from the previous year. So just by using this 401k along I am able to add an additional 7.5% to my yearly income (not counting any admin fees and such). What I have failed to mention so far though is that I elect to participate in a Roth401k.. So when I decide to leave the company I will be able to roll it over into another Roth Account (more on this later). Another nice benefit that my company has is because of the high deductible insurance plan we are able to participate in a HSA which I talked about in my article Advantages of Health and Wellness. The max contribution that I can make per year is $3,350. This may seem like a lot but once again the company I work for swoops in to help out. At the start of each year they contribute $650 into my HSA account. So that means just $2,700 spread across 52 weeks to max out my HSA account. In the account, I must keep at lest $1,000 in cash but all of the rest I can invest. If all of these benefits were not enough there is one more thing that I want to point out. My company offers an Employee Stock Purchase Plan that I talk about in my article Should I participate in an ESPP. Since the company I work for pays dividends it fits in perfectly to my Compounding Money Strategy. One of the best things about this plan is the fact that I am able to acquire the stock at a 15% discount to what it is selling for on the market that day. I’m pretty sure not one of you would turn down a 15% discount on some stock in a fortune 500 company. The best thing about all of these benefits is that they all happen before my paycheck even hits my account every week. This really emphasizes one of the lessons that I learned in Rich Dad Poor Dad about always paying yourself first. At the end of the work week my paycheck is directly deposited into my pivot checking account. It may not be clear right now but soon you will understand why I call it a pivot account. Once it hits this account all it is going to do is pivot and be put into motion toward some other account. Generally speaking it goes one of two ways. It either goes toward a credit card account or towards a savings account. The one exception is if I need some cash. If that is the case then I have to withdraw it from this pivot account but this is very rare. All of my expenses that I incur during the week is all applied to a credit card. I have a couple of cards that I use for different reasons which I discussed in my article Let Your Rewards Truly Reward You. I am very aware that this can be dangerous but since I am diligent in paying on these cards every week it has not been a problem so far. This strategy allows me to build up my cash rewards. I receive 1%-5% cash back on these cards. One of my cards is through a bank that offers an additional 10% if I deposit the cash rewards back into my bank account with them. So I let the cash rewards build up until I decide to move the money to make a new investment. Now the other direction that my money can go once it leaves my pivot account is towards my online savings account. I chose my online savings account because I am able to draw 1% interest as opposed to a fraction of that in a traditional banks savings account. Since I pay for everything with a credit card, all of the money that goes into this savings account is able to draw some interest on it before I move it to my brokerage account to invest. If I were to move it straight to a brokerage account it would draw no interest. So the savings account is only a temporary stop for it. I never empty out this account so it also acts as my emergency fund, which I posted about the importance of in my article Why You Need An Emergency Fund. Finally we have reached the part of the article where I will talk about the brokerage accounts. 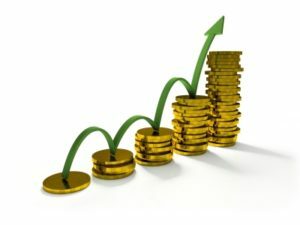 Because I haven’t been investing in dividend stocks for a long time, there are several different investing methods that I have tried. To start with I opened an individual brokerage account. I funded some money into the account but soon realized that there were other options out there. So soon I was looking to build a tax shelter as well so that led me to opening a Roth IRA which I wrote about in my article Say Hello To My New Friend Roth. I also wanted to try some of the no fee investing brokerages so I opened up accounts with Robin Hood and Loyal3. You can read my reviews of them in my articles Robin Hood Review and Loyal3 Review. I like these accounts because they allow me to dollar cost average into positions with small amounts of money. If I were to try and do this with one of the previous brokerage accounts, any possible returns would get eaten up by commission fees. At some point I plan to merge the Robin Hood and Loyal3 accounts into my Individual brokerage account but that will happen at some point in the distant future when I feel that it is advantageous to do so. Over the past 2 years my strategy has been evolving based on my analysis of the returns that I have been seeing. I have tried to put my money to work as efficiently as possible. Although this strategy may not be for everyone, thus far it has been working pretty well for me. I would be very interested to hear about all of your money compounding strategies. I look forward to reading all of your comments and questions. Until next time, happy investing! Nice little strategy you have there. Mine is similar, I try to spend my time doing something that can increase my net worth whenever I can. I hope 2017 is a good year for you. Very nice summary of the kinds of things people should be thinking about to compound money. I do most, except I don’t have an option to buy shares of the company I work for at a discount. That would have been really nice! Wow! Your company is very generous. I have a match on my 401(k) but no upfront dump in and no HSA match/bonus. How are the funds in your 401(k) though? While I have a match my investment choices are garbage! MyJourneytoMillions recently posted…What is a Blended Whole Life Insurance Policy? Welcome My Journey to Millions and thanks for stopping by. The funds that are offered in my 401k are decent. I mainly allocated to large cap and emerging markets. I stay away from the target date funds. I am not a fan of paying any of the fees, even though the large cap one is on of the largest fees but I am willing to bite the bullet on this one since I receive the employer contributions as well. The extra capital will come in handy in the future when I am able to roll it over into my RothIRA. Very good post! Thanks to compound interest, the people who save early do have more retirement savings. Mentally, starting early has a greater impact as well. 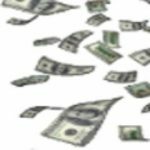 I ve found that people who have been putting a couple hundred dollars into their retirement account every month since their early 20s are used to putting that money aside and have no problems continuing saving. This is the strategy I been applying also. One thing that I been doing is Insurance also, as I build up my Emergency Fund, I increase the deductible on my insurance premiums and the difference in payment gets deposited into the Emergency FUnd. Those are great ways to pay yourself first. I do like getting a company match, a tax break, and saving automatically, all at the same time.